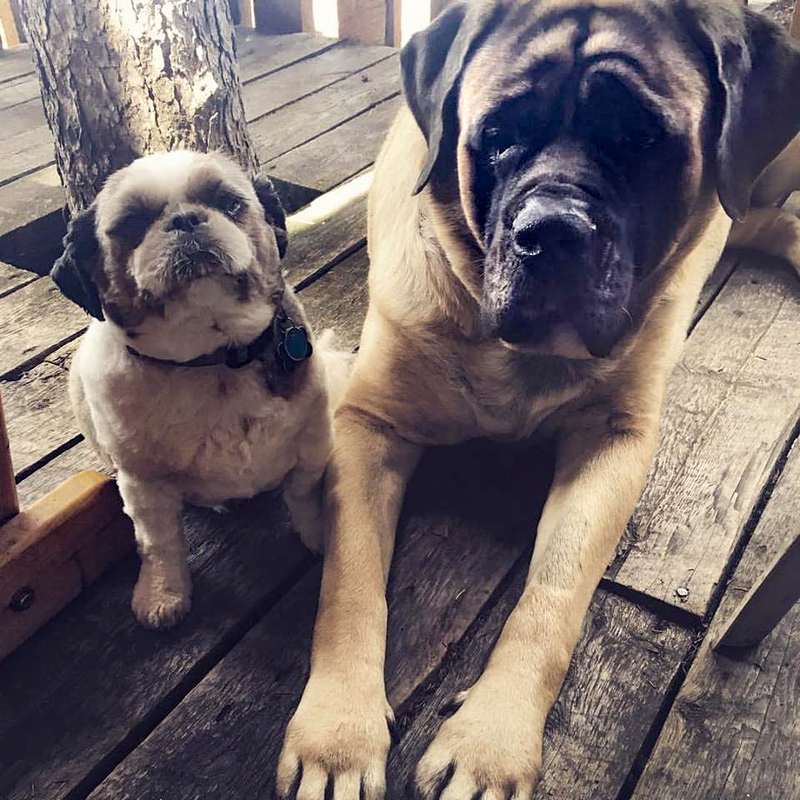 Sophie adored her family and her little brother, Tito the Shih Tzu. 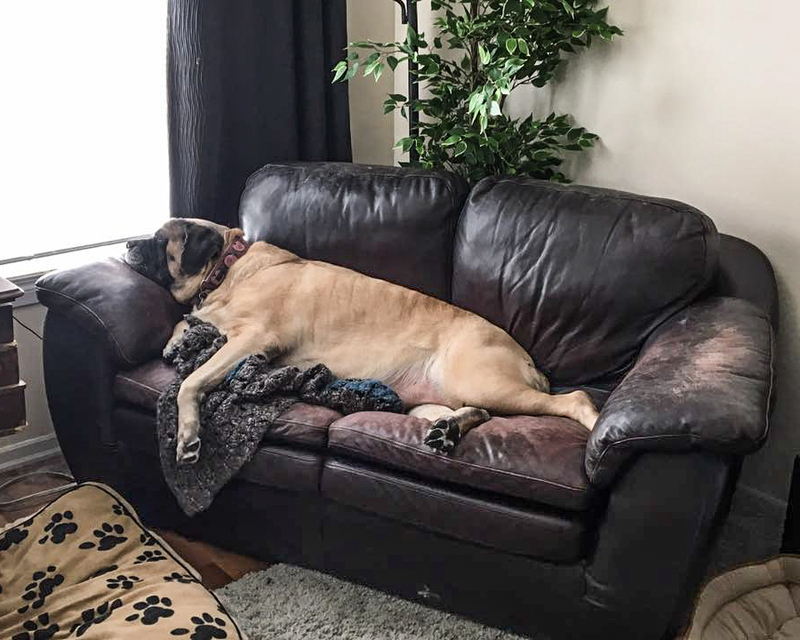 When she wasn’t cuddling up with one of her owners or following them around the house, she and Tito would sprawl out on the love seat together and nap. 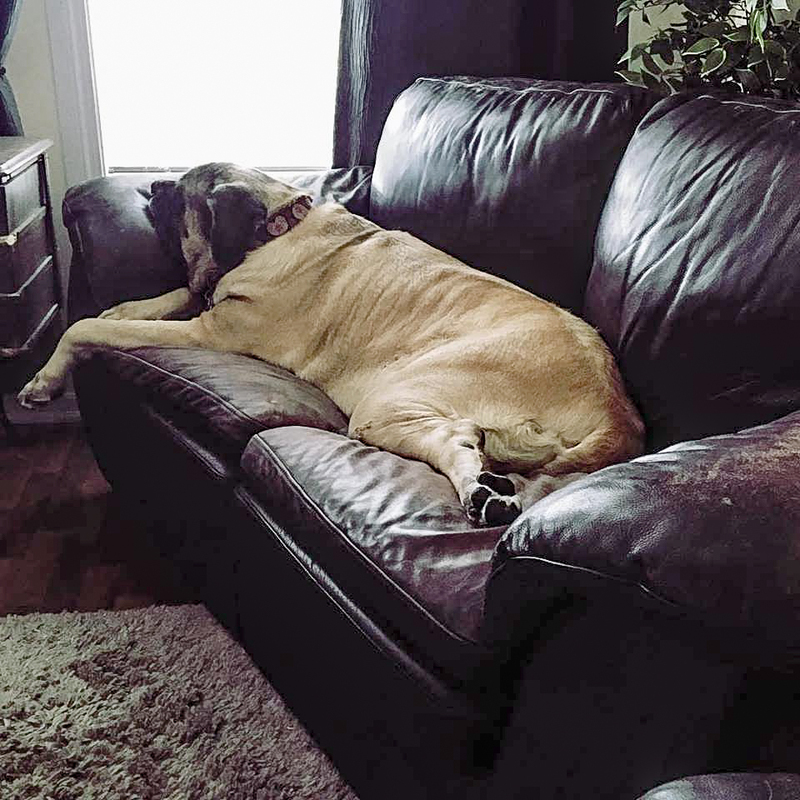 “She always had to have her head on either end of the couch,” Sara laughs. And if you were already in her spot? Forget it. She would stand there and bark at you until you moved. Many humans would turn up their nose at green beans, but Sophie loved them. In fact, she wouldn’t eat her dinner unless they were added. Unfortunately, she also had a taste for expensive footwear and enjoyed numerous pairs of Sara’s shoes and slippers over the years. Sophie put herself to bed every night at ten o’clock in a king-sized bed that belonged to Sara and her husband. The couple joked that they needed to get to bed before Sophie or they’d be sleeping on the couch. “She could be stubborn when she wanted to,” says Sara. 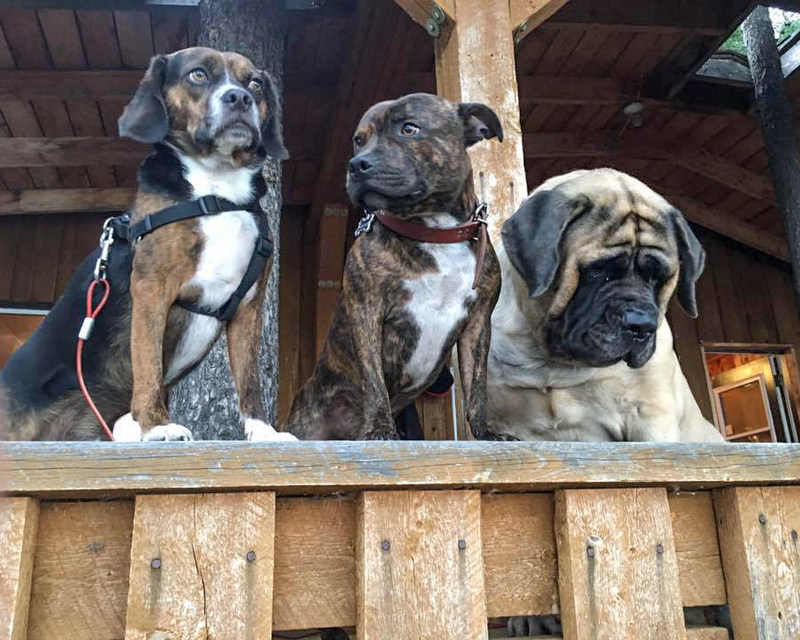 Sophie’s life came to an end when she was five-and-a half years old. 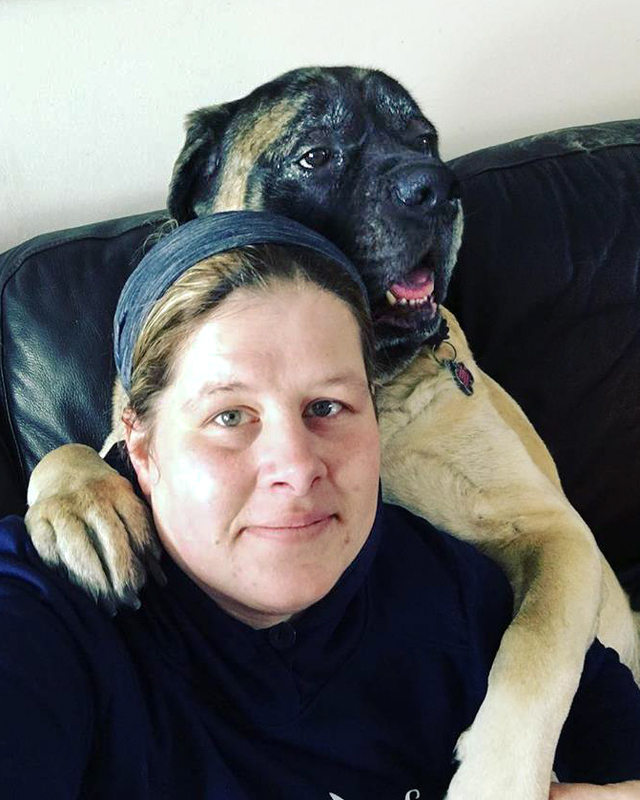 Sophie loved to be outside, so her family plans to bury her ashes beneath a tree they will plant next spring. 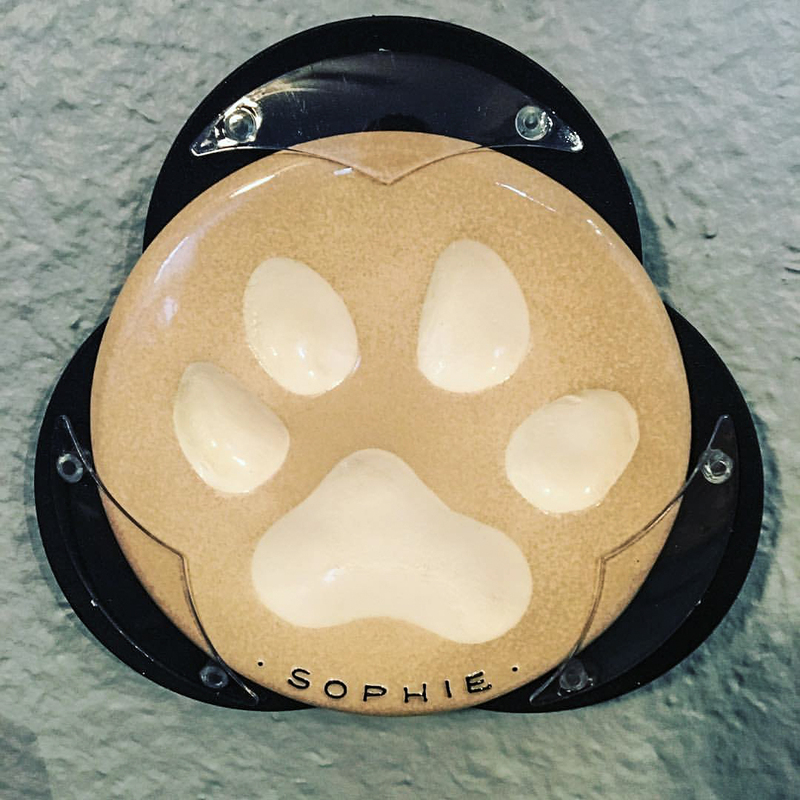 They display her impression on a Pet Memorial Wall along with their other pets’ impressions. They decided to have it painted Beige to reflect her fur colour. It takes the right kit to make a good impression. 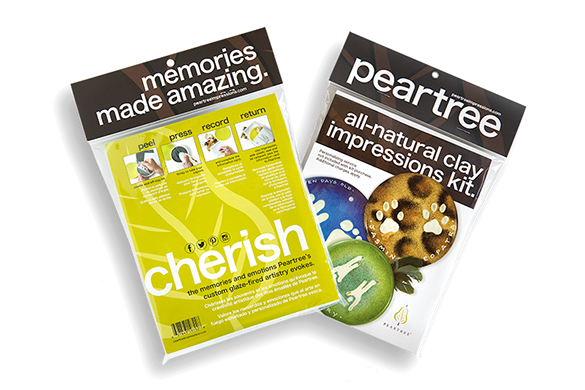 Peartree's all-natural clay kits are attractive and easy to use. 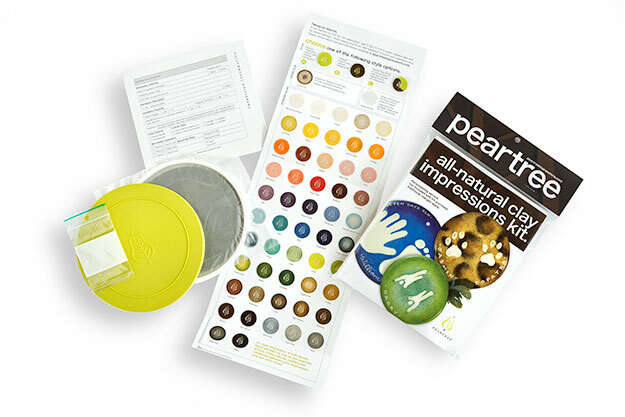 Each clay disk is packaged in a protective container with a peel-away, airtight seal. This keeps the clay soft and lets you take an impression without directly handling the clay. Just peel, press and seal.